Teen boy bedrooms are a place of refuge and lots of stuff. 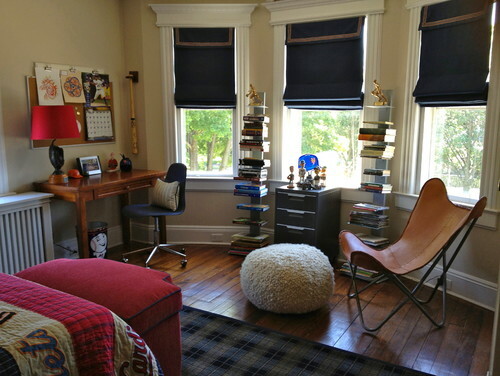 As much as I like a clutter free environment, it is tough not to have some clutter in teen rooms. When updating a teen’s room storage is a must! However, instruments, sports shoes and equipment, computers, and books are used daily and cannot be stored. 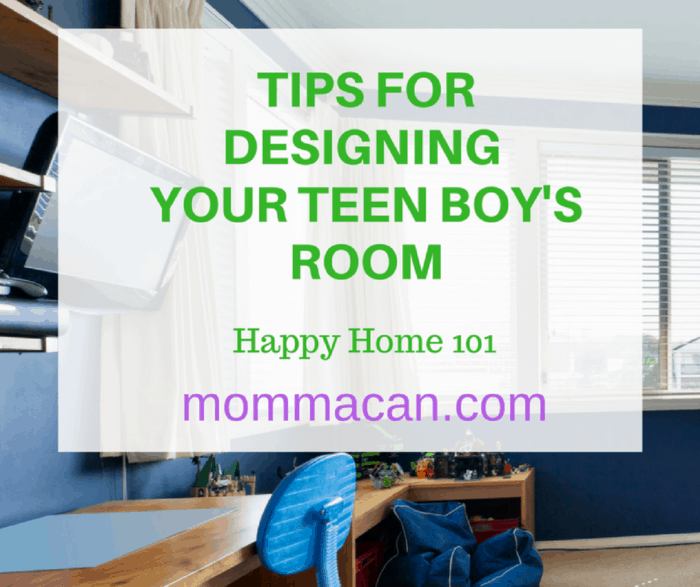 When creating teen rooms, you have to keep in mind their interests, their needs, and room for them to add decor that they like. There will need to be room for sleeping, studying, reading, creating, and socializing. 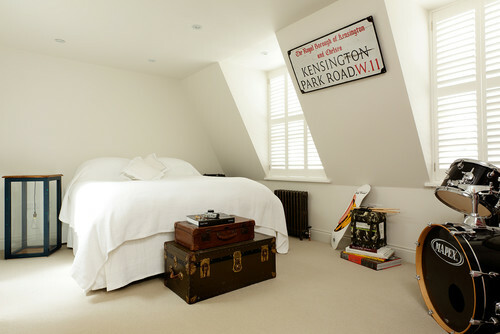 That is a tall order for most bedrooms in many homes. If your teen is particularly tall and needs a full or queen-sized bed, adding all of these elements can be a challenge to put in one room. 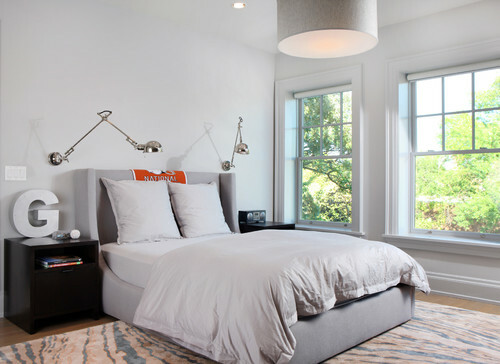 The most successful teen rooms are ones designed with their input from the very start. Working with your child to create a room they will love can be a wonderful bonding experience. Just have your budget set and keep an open mind, remembering that it is their space. There are no hard set rules on decorating a teen boy’s room. But having each furniture items be multifunctional ( especially with drawers and storage) will help deal with all the stuff. Going vertical will help add storage as well as keeping some floor space clear. Tip One – Create a budget. 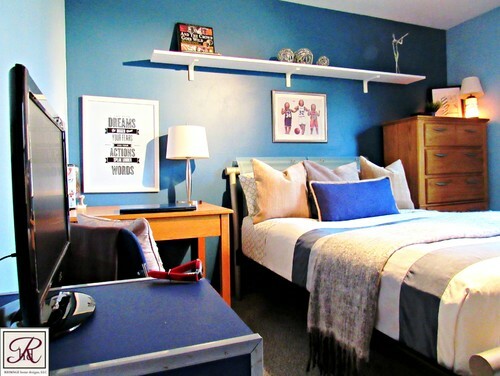 Creating a budget and sharing the budget with your teen will keep you both on the same page of what needs purchasing and updating their bedroom. This is also a very good time to show your child how to stay on a budget for a project for future projects in their adult life. Open shelving will allow teens to show off their many interests, as well as photographs of family and friends. 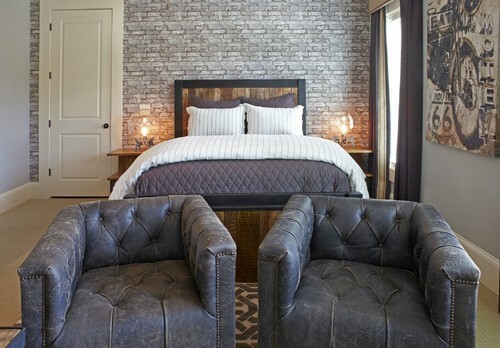 Tip Two: Finding furniture that has multiple functions will allow for more storage and a less cluttered overall look. 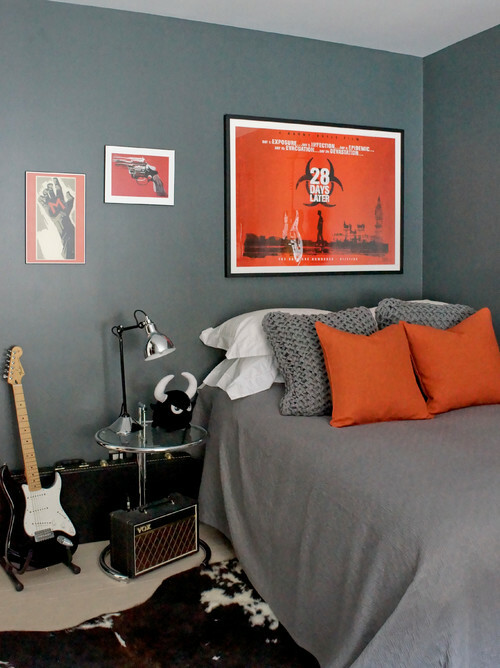 Tip Three: Paint is an easy way to give your teen their voice in decorating their room. Choosing a paint that they love will give them a real sense of ownership. Working together to choose a color they will appreciate over the next few years will make you and your teen both happy. 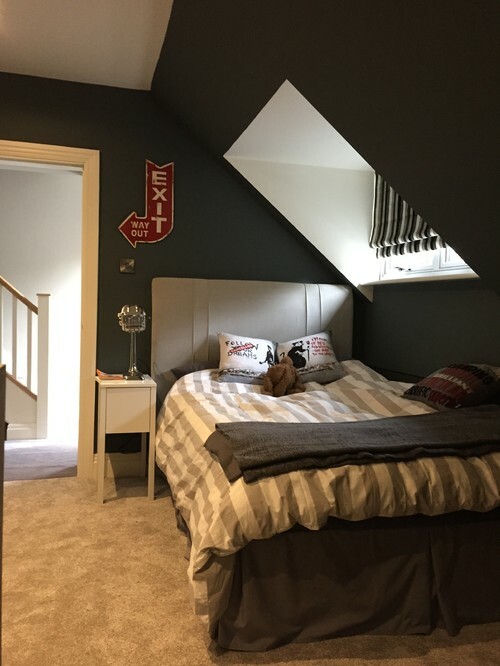 Tip 4: Give your son room to show their interests and personality by allowing them to choose artwork and put in shelving so they can show off their interests with knick knacks, framed photos, and other fun teen memories. Don’t forget a desk and bedside lamp! Working with your teen to create a space that they will love can be a positive bonding experience for you and your family. Creating a budget, finding multifunctional pieces, choosing paint and coming up with creative storage ideas will make a space your child will love and one that you both will be proud of because you created it together. Allowing your teen to add their finishing touches will be the crowning jewel of the whole experience. Remember to take lots of photos! This memory making experience should be documented! great tips. Using their sports or other hobbies as wall decor takes it off the floor and makes it easily found as well as a show piece! My boys were never into anything but legos and video games…still are in their 30s! 🙂 I just told one of them to take the large non-playable cards they get in these sets of theirs and do a collage frame of them for their game room…they loved the idea! This post is awesome! I love the step by step process you share ti create a space in your home which involves your children. It is their space in your home. This guideline is perfect for all families to follow for boys, girls or even parents living in a multi-generational home. 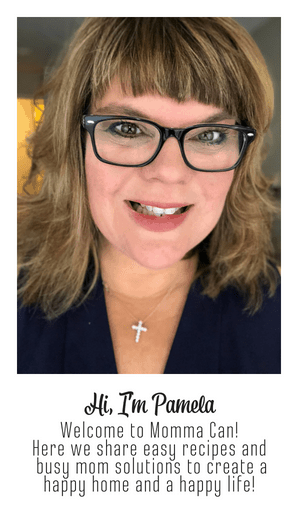 Very relevant points here Pam. Each child is different so I think making sure they have enough storage and letting them contribute is the best advice you can give. My boys are a whole generation older they really didn’t care about what their rooms had in them so much as just letting it be theres pace.